The fallout between Kate Middleton and her former best friend Rose Hanbury have a lot of royal observers wondering why Prince William is front and center of it all. As a matter of fact, there’s a new report that suggests that the Duke and Duchess of Cambridge are eager to tell their side of the story before anyone else does. According to the Daily Beast, former fashion model Rose Hanbury and Kate Middleton were very close friends up until last week. Reports indicate that the Duchess of Cambridge was looking to apparently ‘phase out’ Rose from their tight circle of friends in Norfolk. Others have even suggested that Kate views Rose as a rival. What kind of rival though, is anyone’s guess. Although unconfirmed, some British media outlets have even said that Rose might be one of Prince William’s ex-girlfriends. What has everyone wondering is what may have triggered the fall out between Kate and Rose and why both sides have even considered legal action to combat the rumors about their feud. The Daily Mail says that none of the media reports so far have been able to offer any evidence about what their dispute might be about. With that said, a lot of people are calling Kate and Rose’s rural rivalry one of the weirdest stories to come from the royal family this year. Prince William, meanwhile, is supposedly acting like a peacemaker between the two women simply because he is close friends with Rose’s husband, David, the Marquess of Cholmondeley. Royal columnist Richard Kay suggests that both William and David laughed off the rumors at first but now things have gotten much more serious. That’s because the feud reports have reached the royal family at Buckingham Palace. 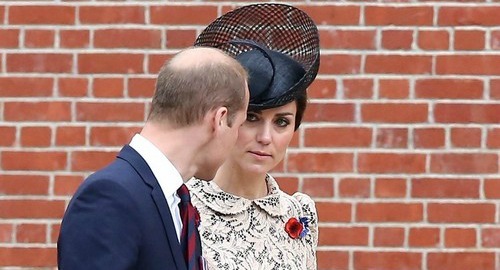 It’s also been reported that Kate Middleton in particular feels as though the reports were meant to damage her public reputation, although it hasn’t been specified as to how. Either way, Prince William is determined to put a stop to it all before the whispers turn into major headlines. So far Prince William himself has not made any comments on the feud or any other allegations for that matter. In the meantime, don’t forget to check back with CDL for all the latest news on Prince William, Kate Middleton and the rest of the royal family right here.